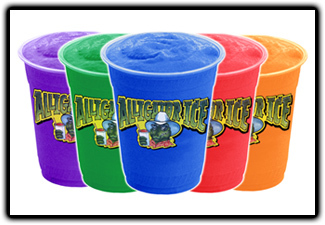 With a flavor lineup as extensive as Alligator Ice's, it would not be complete without a Mango frozen drink. The aroma of this Mango slush mix will leave your customers slurping their frozen drink until their cup is completely empty. The attractive bright orange color is also a strong benefit to the sales of your frozen drinks.